The practice of taking witness in custody for recording her statement under Section 164 CrPC is not contemplated under the Code of Criminal Procedure or any other law for that purpose, the bench observed. 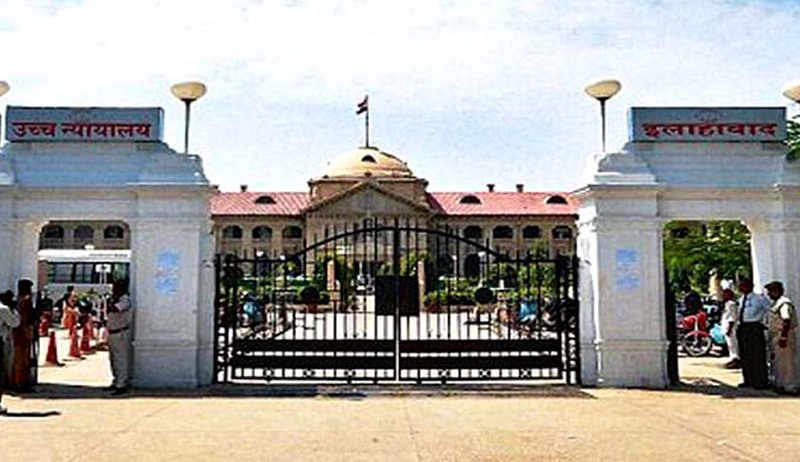 Allahabad High Court, coming down heavily on Police officers for illegally confining a lady for fifteen days, in the garb of investigation against her husband in the complaint filed by her parents accusing him of kidnapping her, has observed that practice of taking witness in custody for recording her statement under Section 164 CrPC is not contemplated under the Code of Criminal Procedure or any other law. Division Bench comprising of Justices Ajai Lamba and Ravindra Nath Mishra asked the Police department to compensate the lady by paying sum of Rs.1, 50,000. The lady had eloped with her boyfriend and married him. The parents of the lady who were not in favour of the marriage, filed a complaint before Police that their daughter was kidnapped. The police kept her in custody for fifteen days to record her statement, she being the prime witness. She denied that she was kidnapped and said that she has already married the boy with whom she was in love. The husband filed Habeas Corpus petition alleging that the lady is being kept in illegal custody by the police in the garb of investigation. The bench directed the authorities not to confine witnesses for the purpose of investigation of a crime and added “confining is when a person is enclosed within bounds; limit or restrict; to prevent from leaving a place.Even if the movement of a person is limited or restricted to his ownhouse, it would tantamount to his confinement”.